One of BSECS’ principal roles is to offer support for postgraduate students and early career scholars, no matter where they come from, what discipline they work in, or how they approach eighteenth-century studies. 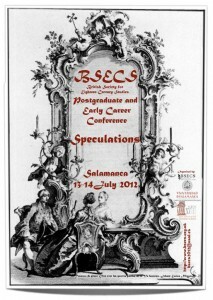 Each summer, BSECS holds a student-led conference especially for postgraduates and Early Career Researchers (ECRs). These now tend to alternate between UK venues (Cambridge, Winchester, York, Newcastle, Belfast) and European cities (Salamanca, Venice). These conferences provide wonderful fora for developing presentation skills, trying out research, and meeting fellow researchers. Presenters receive feedback in a helpful and supportive environment. And the conferences include useful training workshops. Costs are kept to a minimum and BSECS awards several student bursaries to help with travel and accommodation. The latest information can be found here. Postgraduate students and ECRs are also very welcome indeed at the larger annual conference, which takes place in January each year. 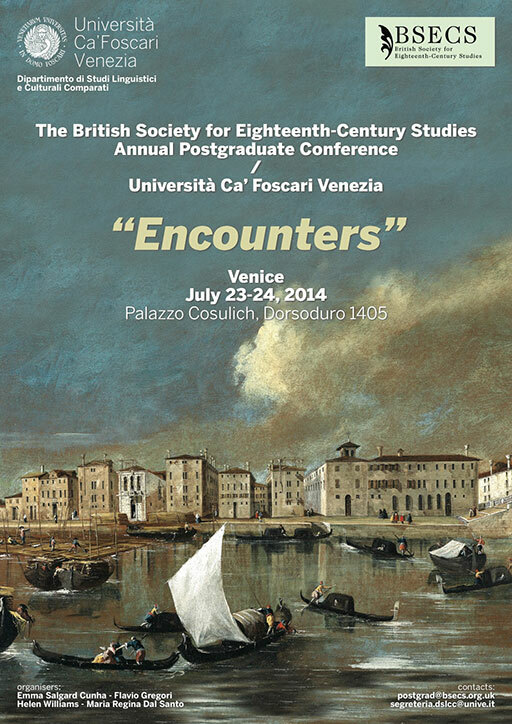 BSECS offers reduced registration fees and several travel bursaries and each year, and the President’s Prize is awarded to the best postgraduate paper presented at the conference (see a list of previous winners here). We run a mentoring scheme at the conference, pairing up interested PGs and ECRs with a more senior scholar at the beginning of the conference. Another major element of the support BSECS offers is the series of fellowships and scholarships for PGs and ECRs, usually in association with one of our affiliated research centres. More information is available on our Prizes and Awards page. If you would like to know more, please contact one of the two postgraduate and early career representatives who sit on the BSECS executive committee. Their details are on our Society Officers page. If you’ve got any other ideas about making the conference more successful for postgraduate students and early career researchers, or for other ways in which we might support your work, we’d be delighted to hear from you. 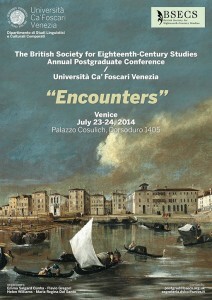 Contact us at postgrad@bsecs.org.uk or via our Postgraduates Twitter account. Or for more general information, visit our Contact Us page.